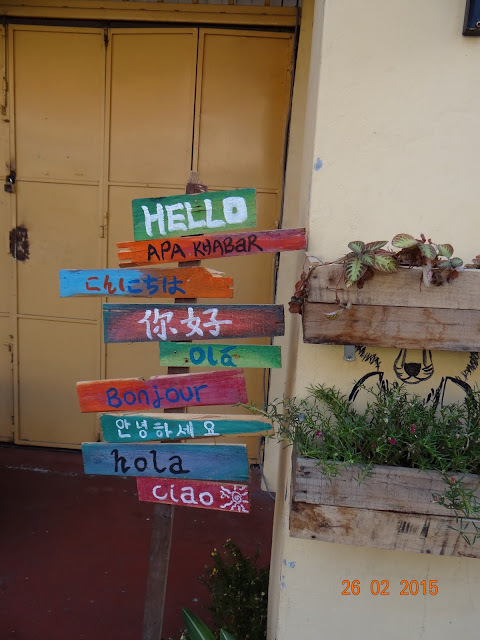 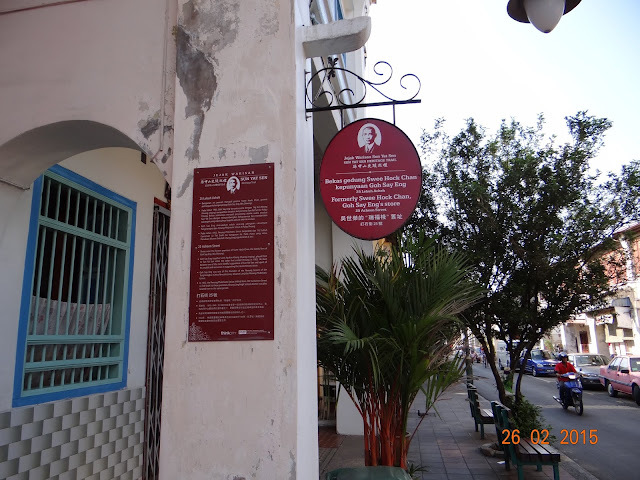 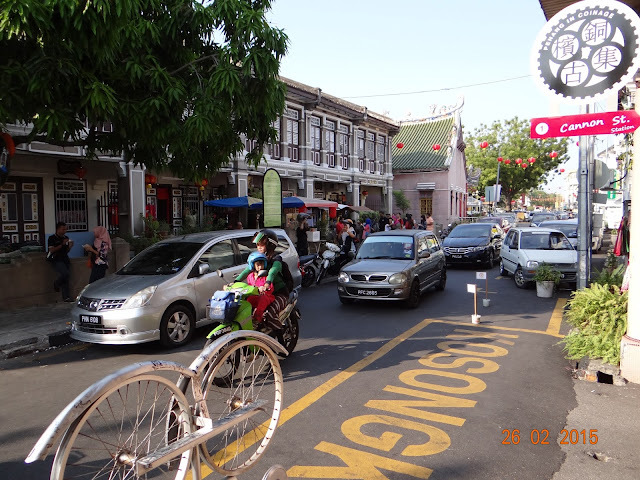 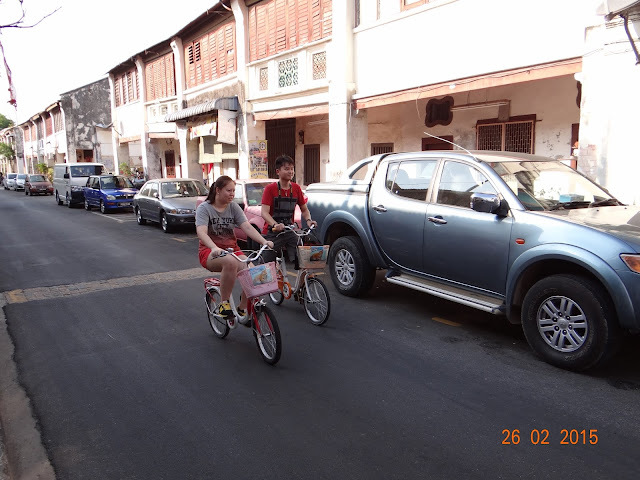 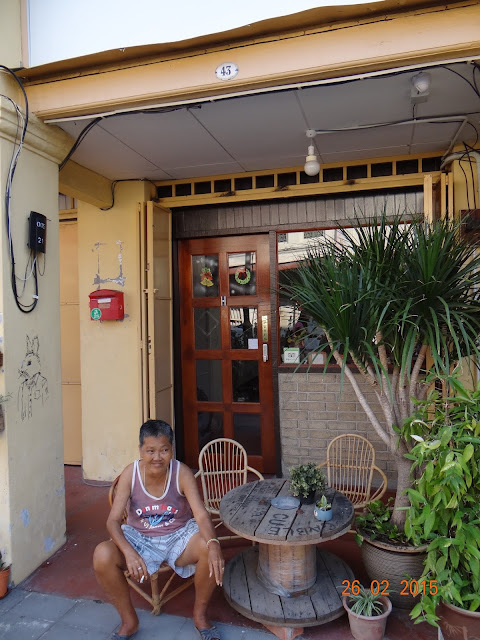 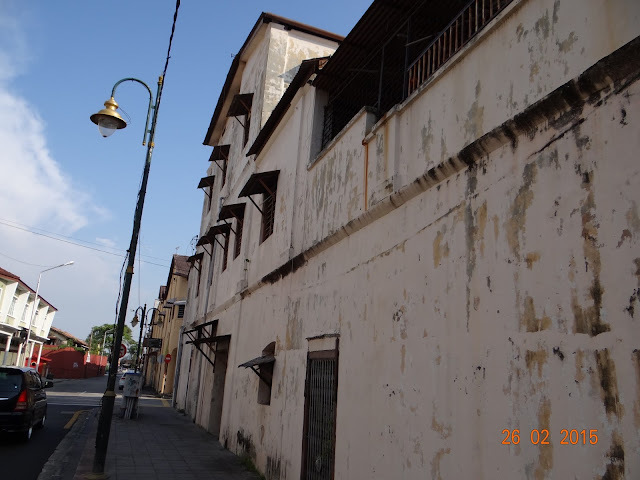 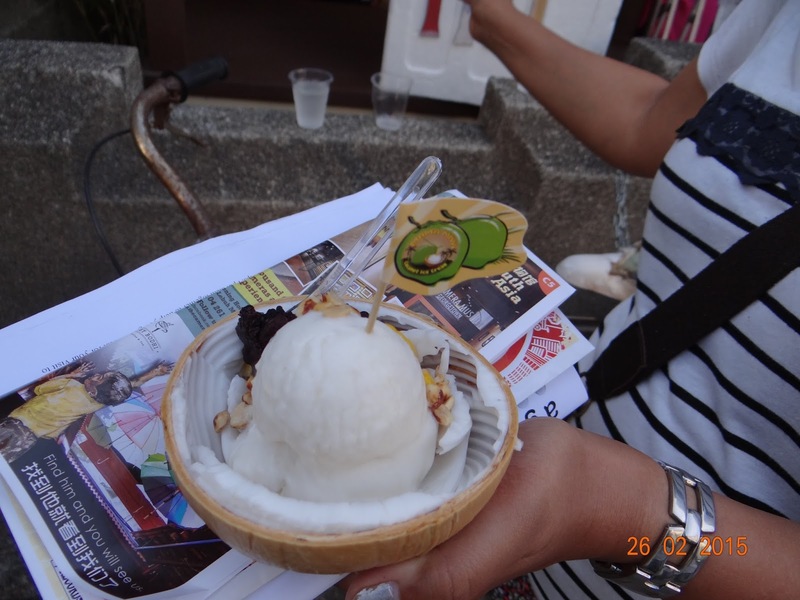 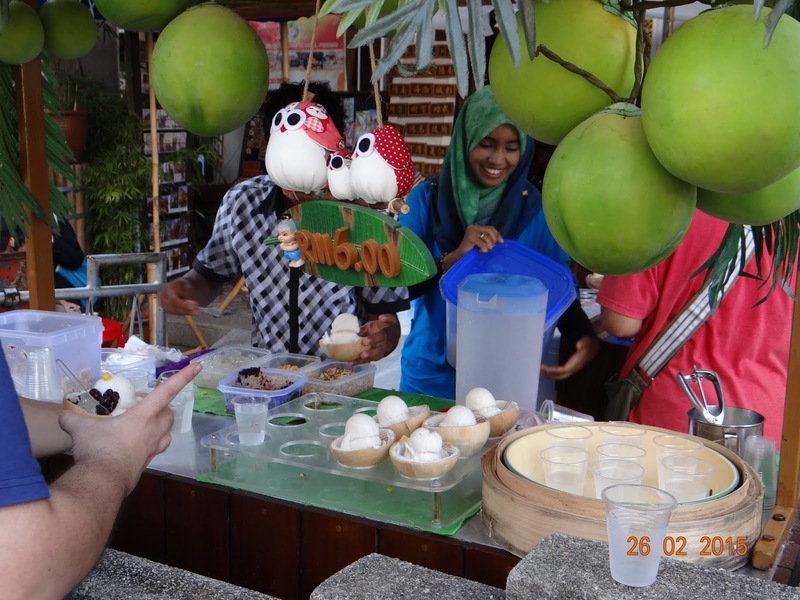 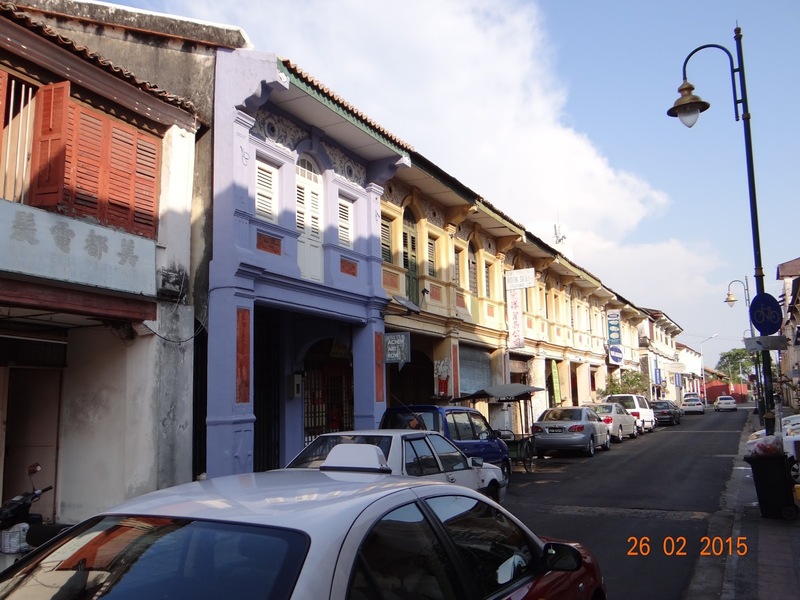 Ever since Georgetown had been declared a world heritage site in 2008, there has been a focus on popularizing the historical lanes and by-lanes and to enhance the city's appeal as a tourist destination. 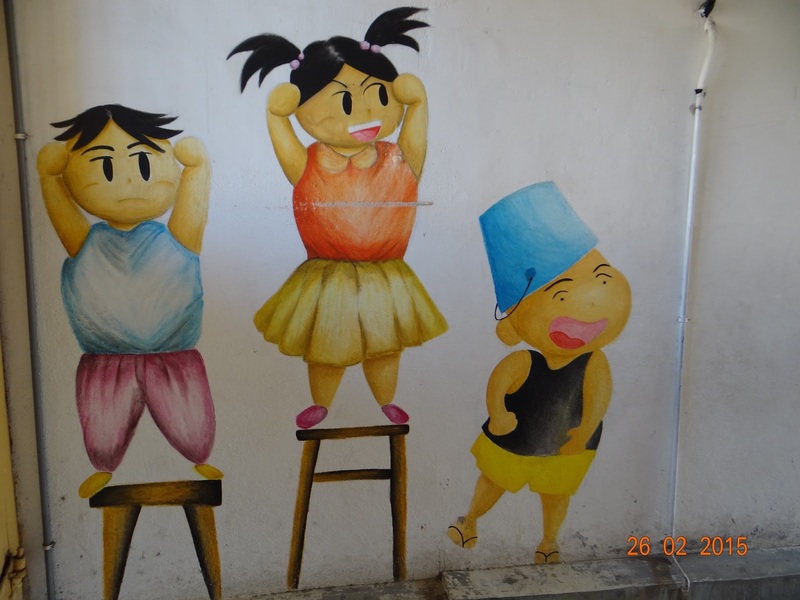 And for that artists were commissioned to develop street art over the last few years. 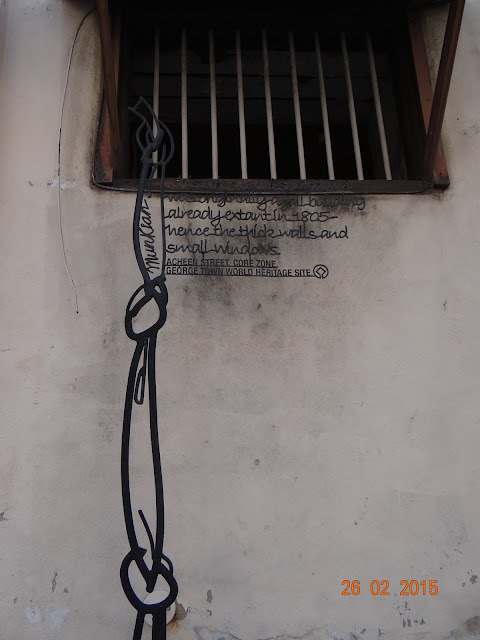 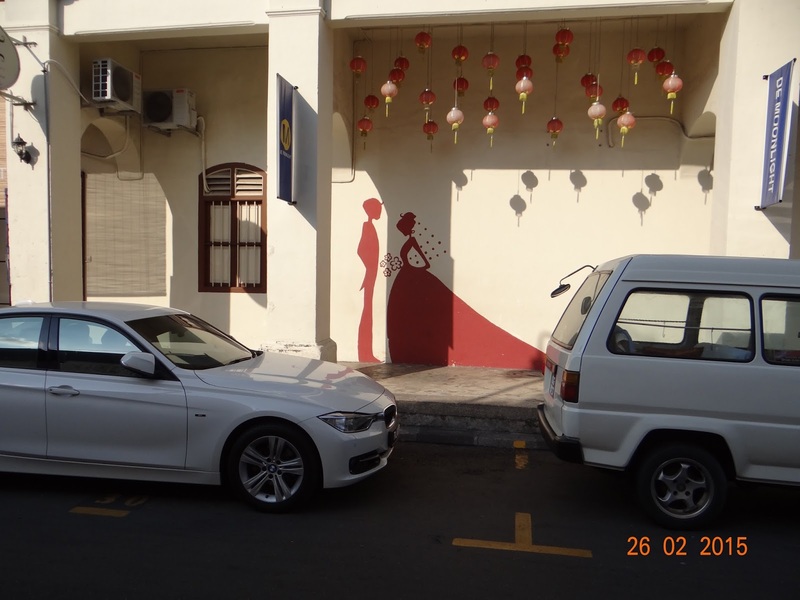 Broadly speaking there are two kinds of street art in Georgetown - murals and wrought iron sculptures. 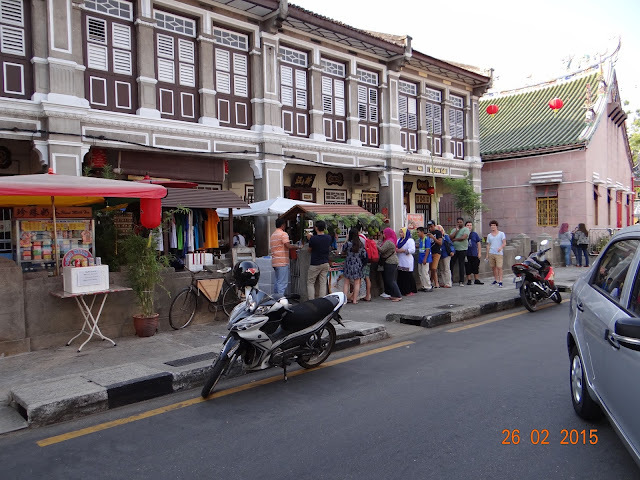 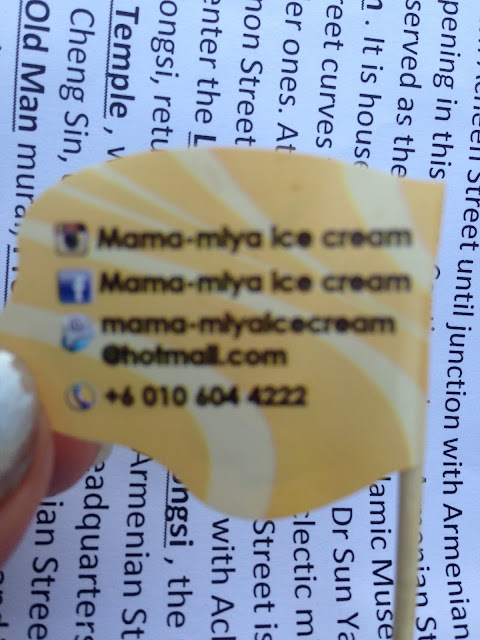 And these have become quite a sensation for tourists, young and old. 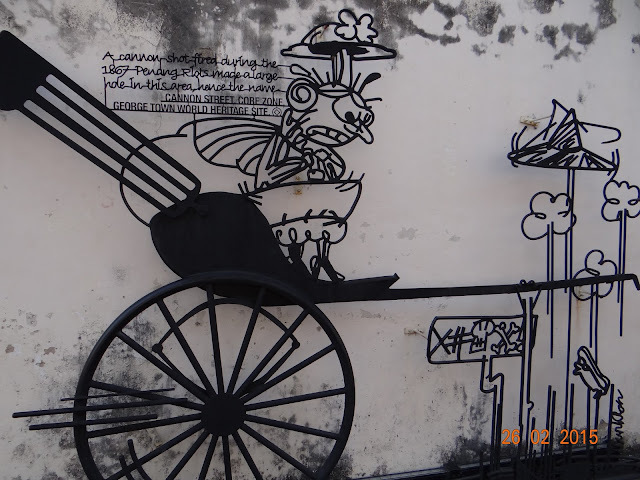 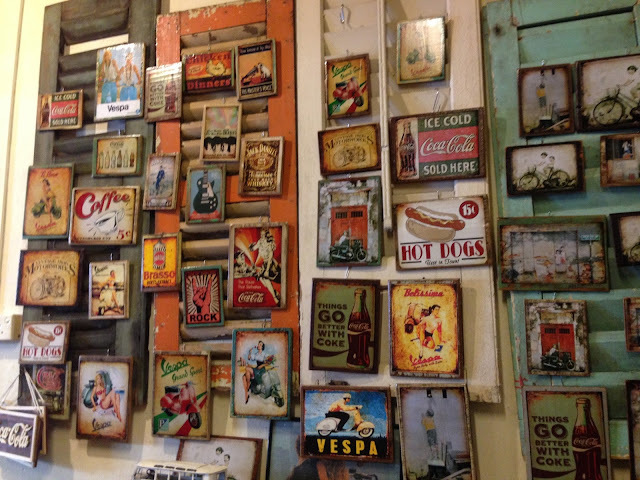 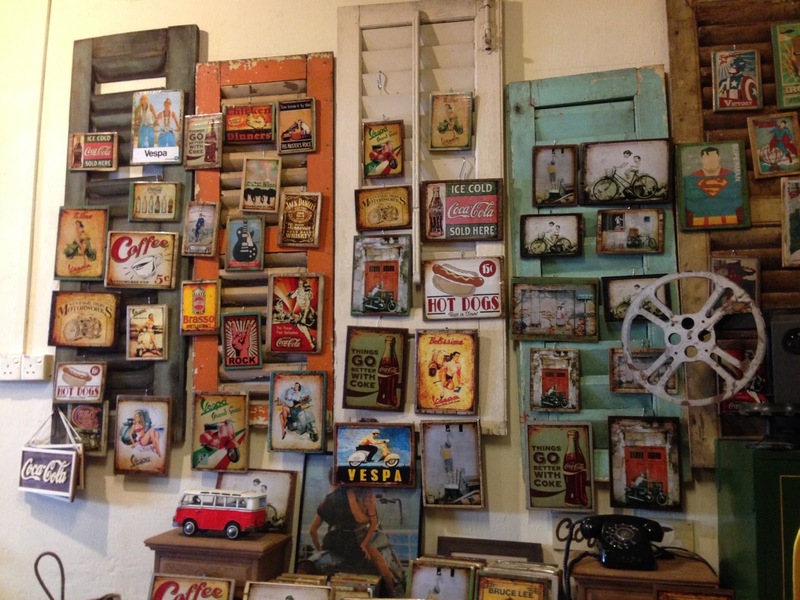 It is actually a challenge to search for each of these artworks and get yourself clicked there. 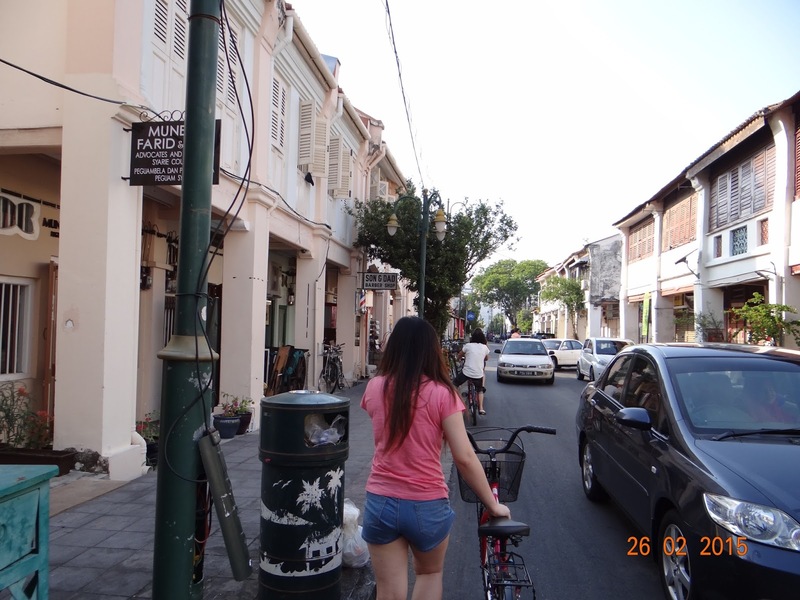 A whole new business model of renting bicycles has developed - crazed tourists like us hire bikes and cycle around the UNESCO core heritage area in search for these artworks, a lot like a treasure hunt. 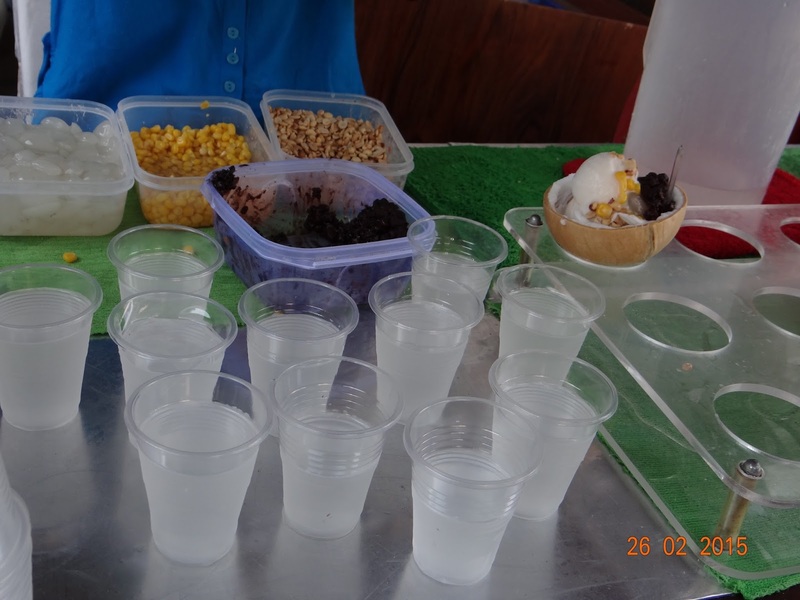 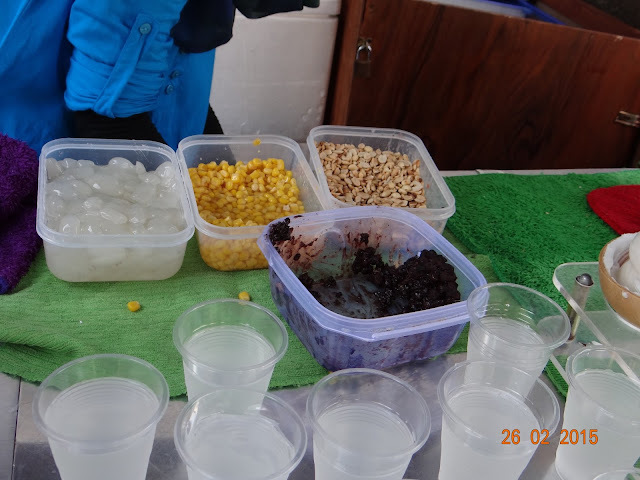 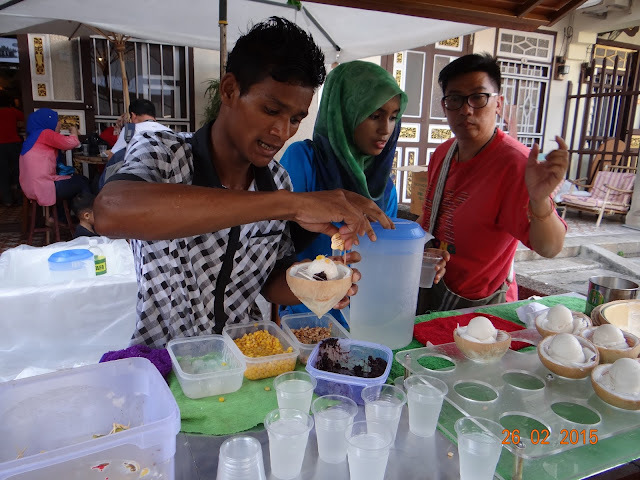 We began our "treasure hunt" on Lebuh Acheh. 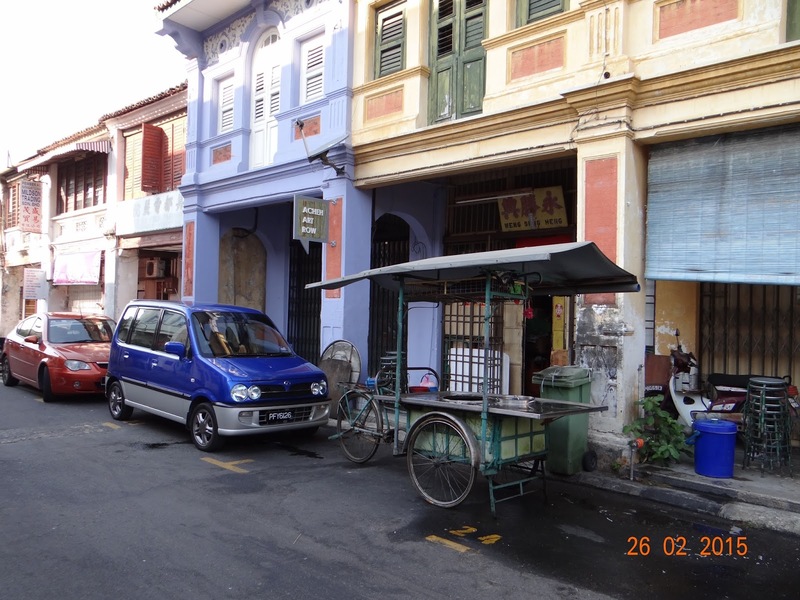 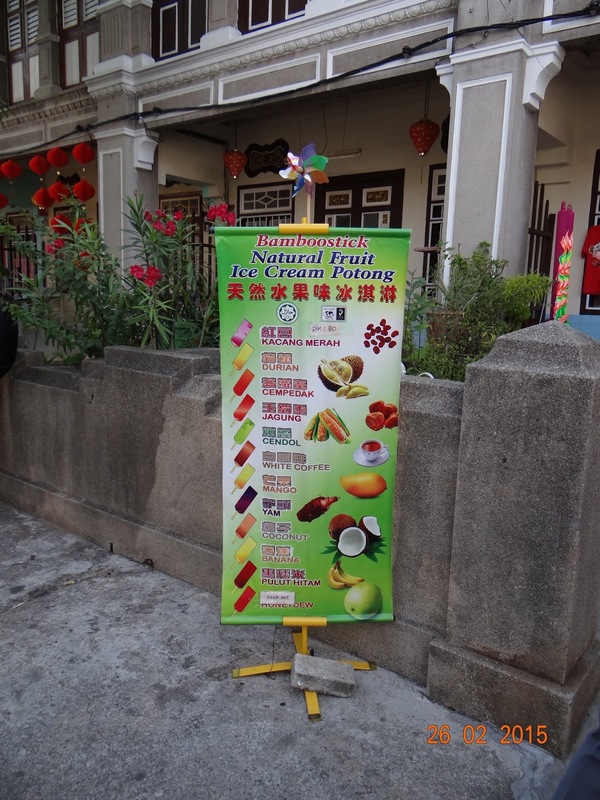 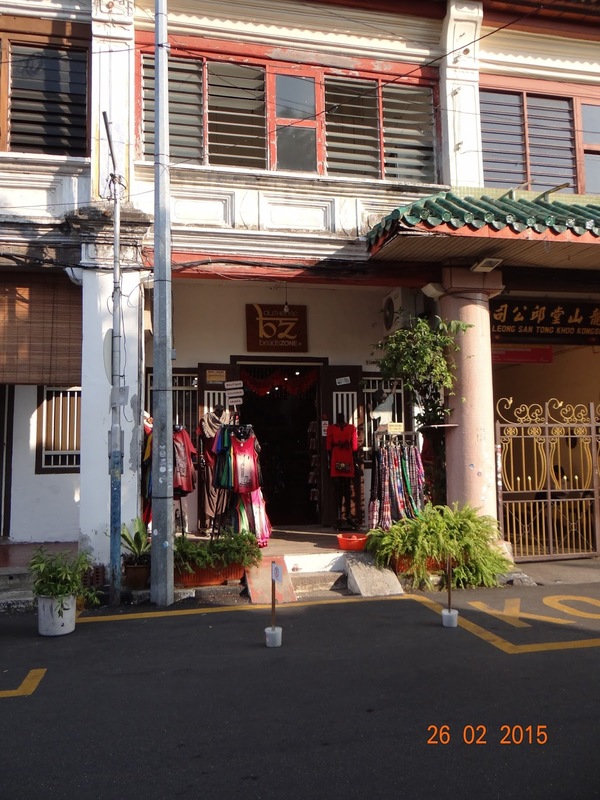 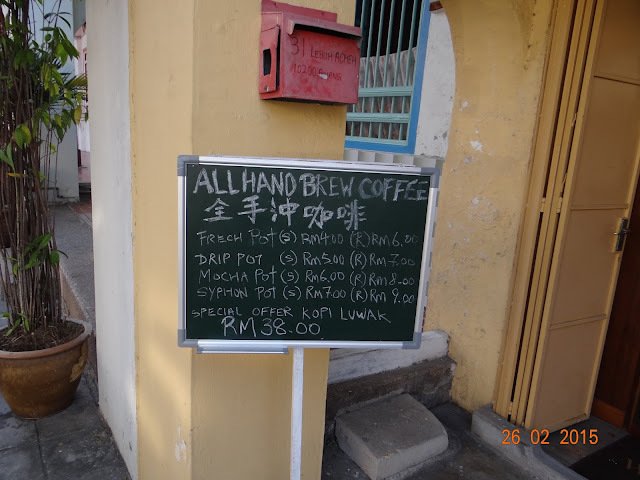 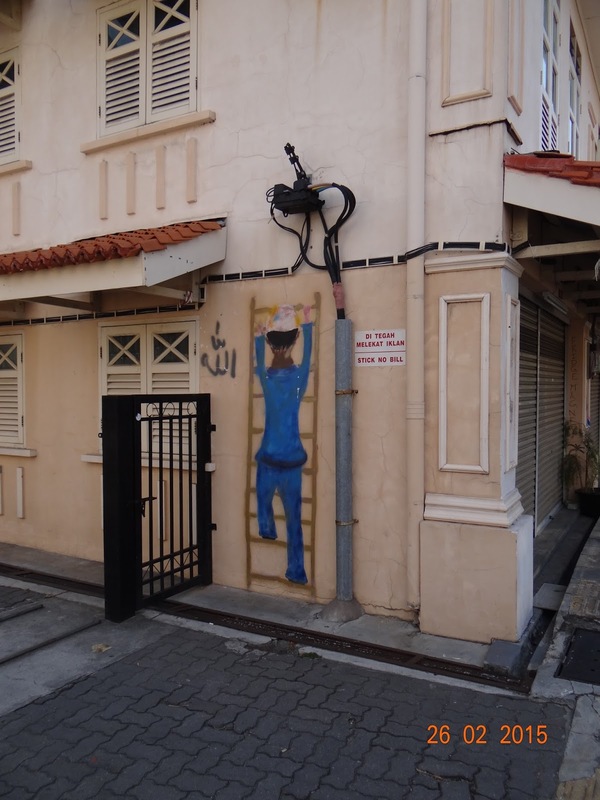 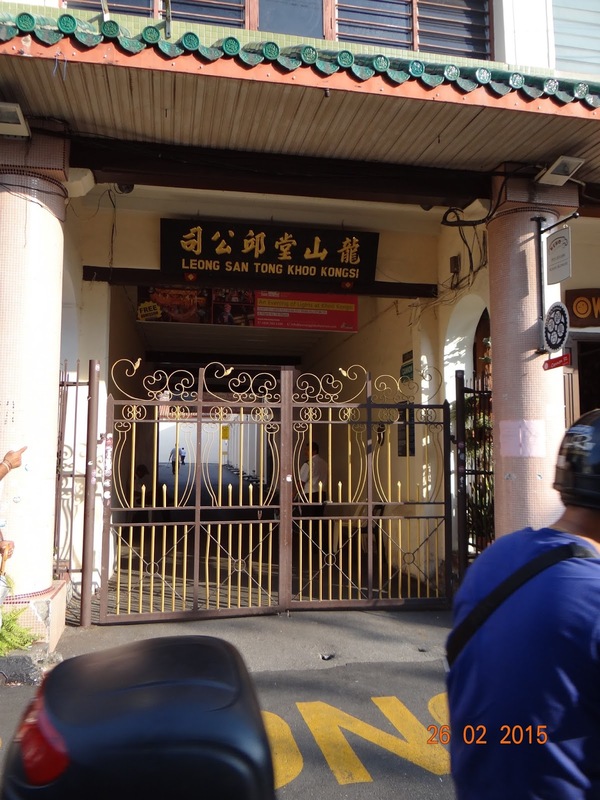 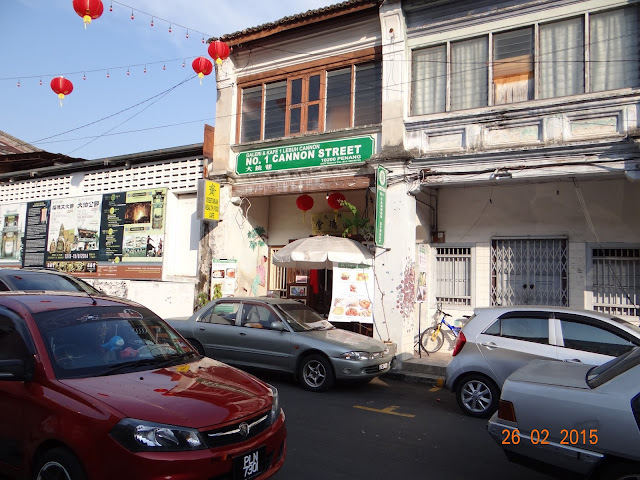 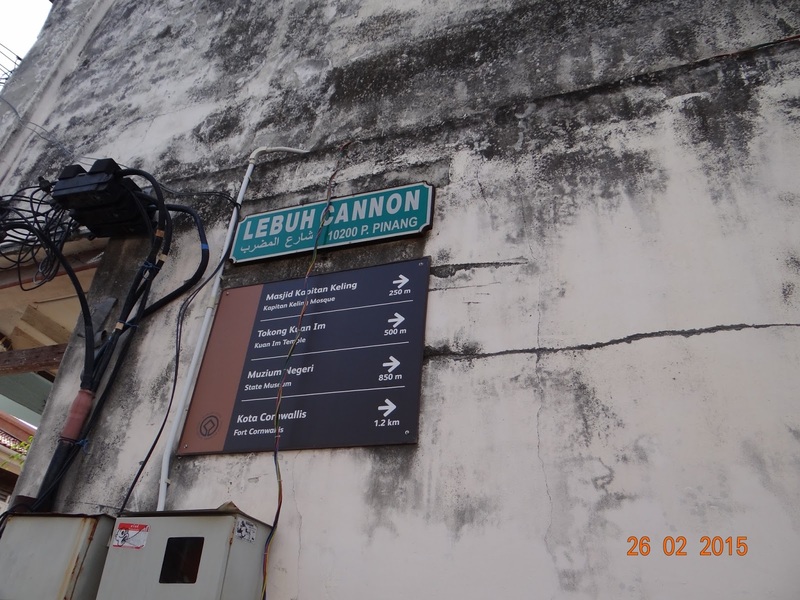 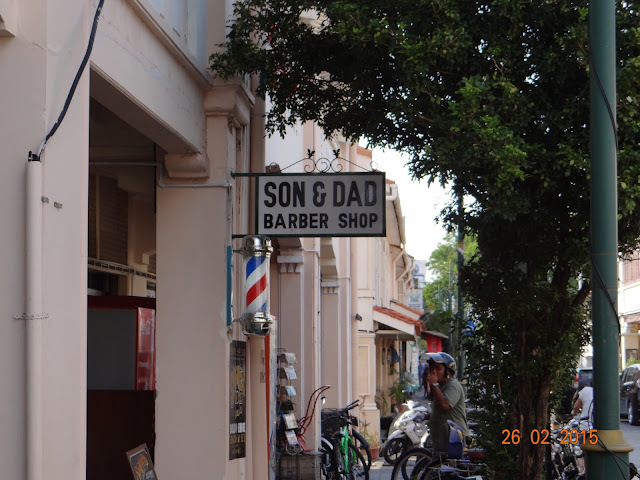 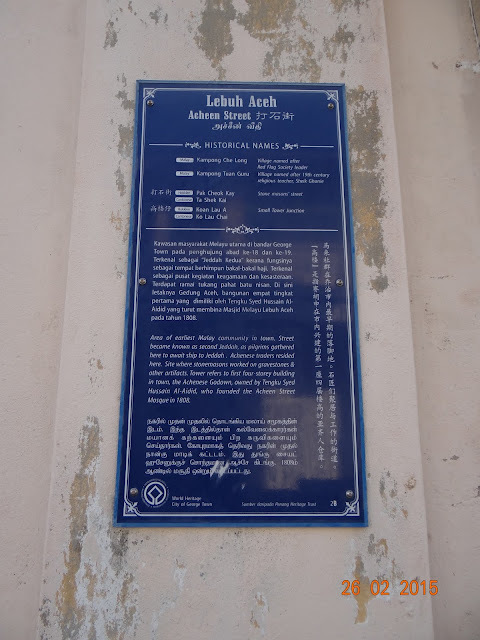 This street, much like the rest of Penang has quite an interesting history. 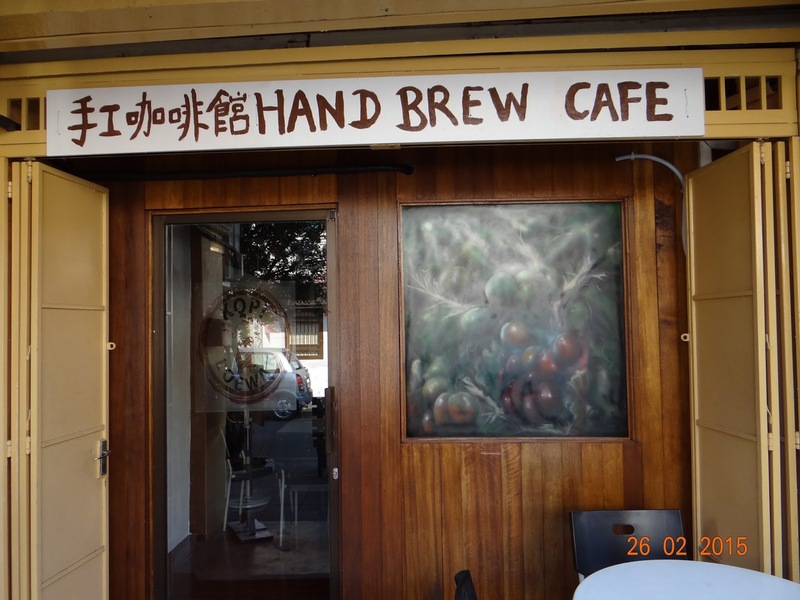 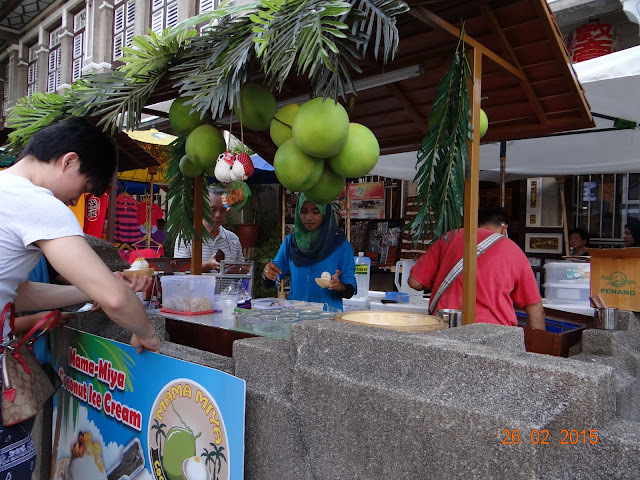 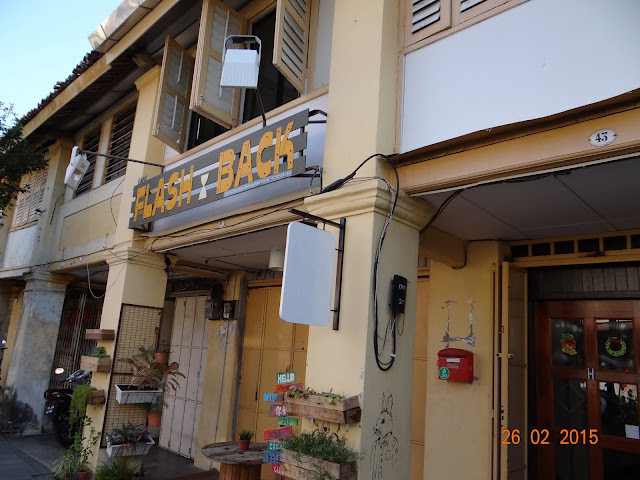 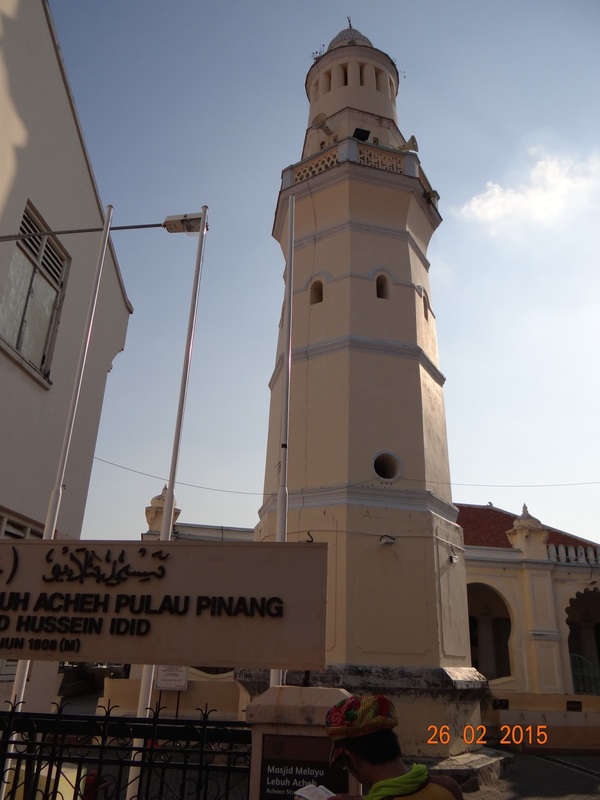 When Captain Francis Light set up the colony of Penang as a trading hub, the island lured business away from Aceh, which was already an established trading hub in northern Sumatra. 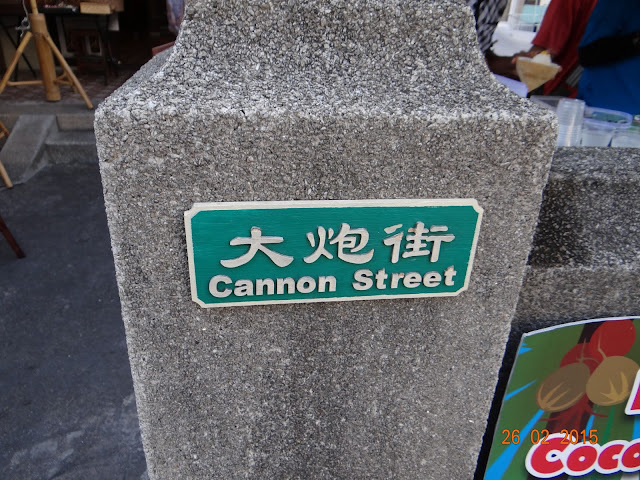 To ensure that the new trading port survives, Light attracted regional businessmen with the concept of a "free trade zone". 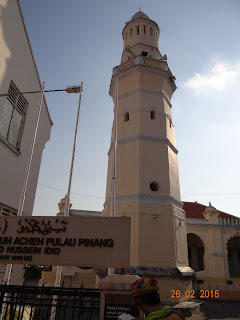 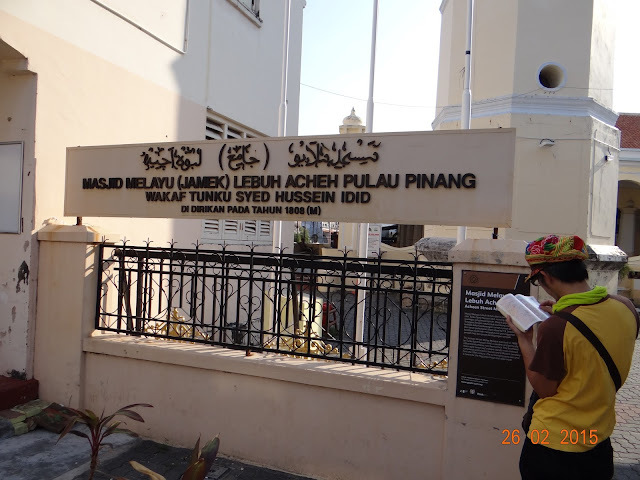 One of the prominent traders of that age, Tengku Syed Hussain Al-Aidid, an Arab trader who was also a member of the Acehnese royal family, shifted to Penang in 1792, alongwith a number of Achenese. 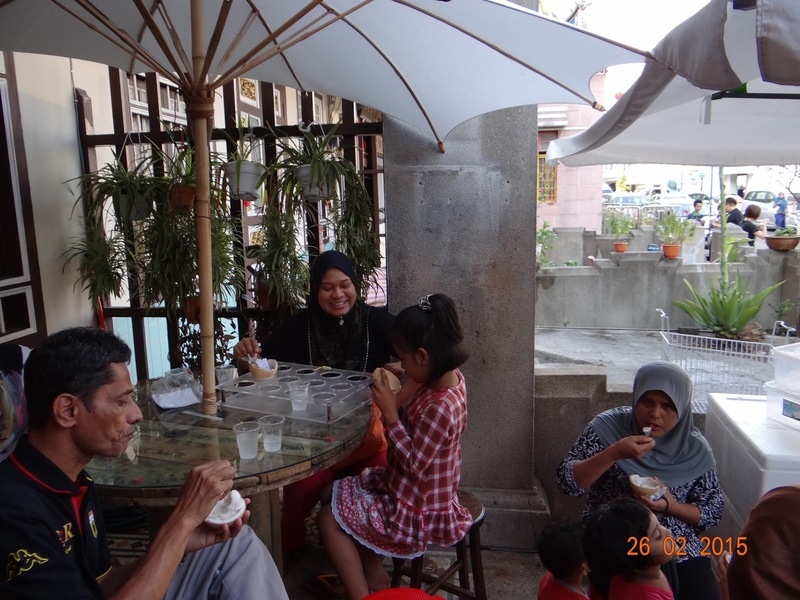 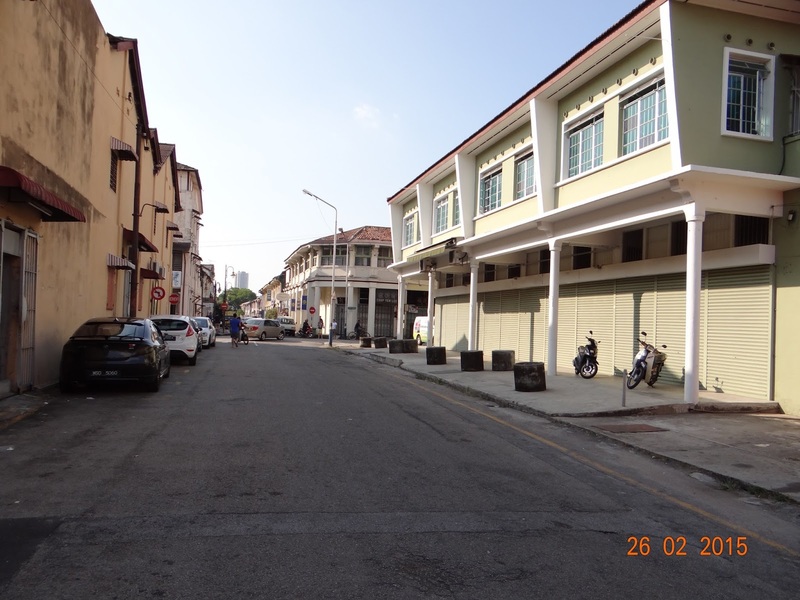 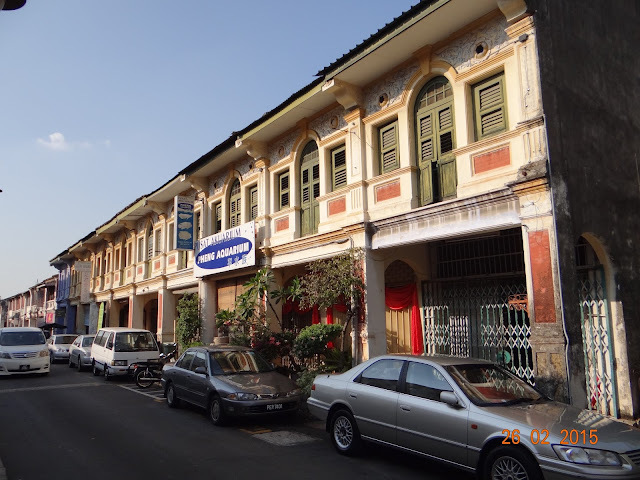 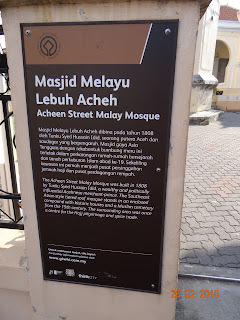 They established base here on this street and Tengku founded the Acheen Street Mosque in 1808.